Transport delays expected during the Olympics 2012. 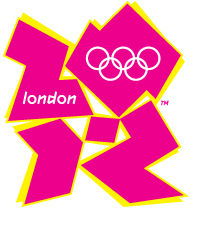 There are less than 100 days to go until the start of the 2012 games and the Transport delays expected during the Olympics. 29th August to 9th September inclusive- Paralympic Games. Maps showing the routes that will be affected can be seen here. Certain postcodes within the London area will be affected much more than others. Vehicle arrivals between 0600hrs and 2400hrs will not be able to be loaded or offloaded on the street. Premises with off road locations should be possible to collect from or deliver to but no guarantees of specific dates or times can be given at this stage. Transport delays expected during the Olympics could affect your deliveries or collections. Talk to United Worldwide Logistics now to see how we can help. The surrounding areas of London and also cycling road race routes will be affected as will, we expect, the areas where the sailing competitions take place. Notably Weymouth and Dorset. Delivery companies are working on innovative ways of getting goods moving around London such as cycle delivery/collection and motorbike use. We also expect there to be disruptions to flights and therefore courier or air freight items may also suffer a delay. If you have any questions regarding moving freight, whether it be an envelope, a package, a pallet or a full load, please contact us by clicking here. United Worldwide Logistics are here to help you and we will keep you advised of any changes where we can. We look forward to hearing from you soon and if you are going to an event, be safe and enjoy it.